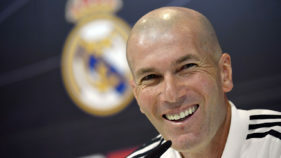 But United’s interim manager was remarkably upbeat despite his side’s flat performance, saying they had plenty more to fight for as they aim for a top-four finish in the Premier League and look forward to a Champions League last-eight tie against Barcelona. United were well beaten by an eager Wolves side who scored two goals in the space of six minutes in the second half through Raul Jimenez and Diogo Jota, with Marcus Rashford’s injury-time effort a consolation. But they now go into the international break with back-to-back defeats after losing to Arsenal last week, with Rashford’s goal their only real chance of the game. But Solskjaer delivered a positive message to fans.”We’re in a great position in the league, we’ve got the Champions League,” he said. 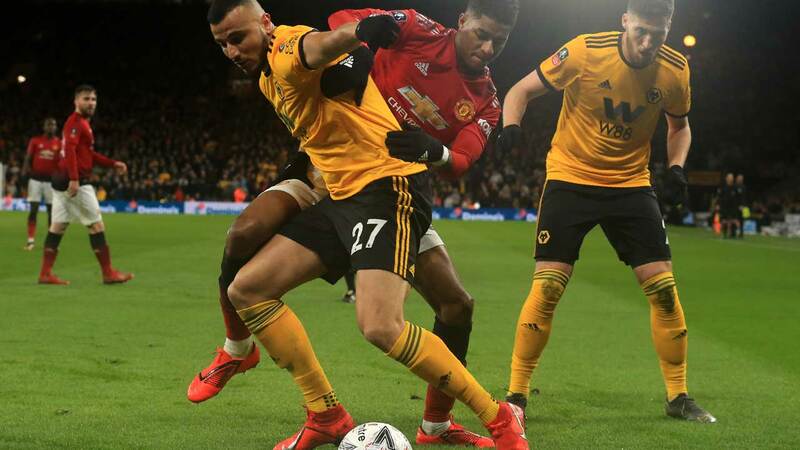 Wolves head coach Nuno Espirito Santo was delighted after his side reached the club’s first FA Cup semi-final for 21 years.”It means a lot of course. The FA Cup is the oldest competition and we played well,” he said.”We achieved it with the amazing support of our fans believing in us and the noise was fantastic. “When we achieved it, we achieved it together. 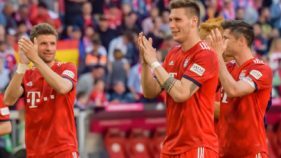 Now we have to prepare for the next one.”Wolves had the best chance of the first half, two minutes before the break. 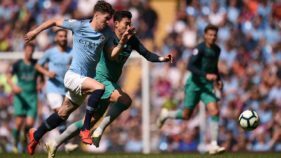 Ruben Neves sent Jota galloping clear for a one-on-one with Sergio Romero, but the United goalkeeper beat his curling shot away. Six minutes later Wolves put the tie beyond United when Neves sent Jota racing clear on the counter and the Portuguese left Luke Shaw in a heap before firing an unstoppable left-foot drive inside Romero’s near post. Referee Martin Atkinson showed United defender Victor Lindelof a red card for lunging in on Jota but it was overturned by VAR. Rashford pulled one back with a shot on the turn in the fifth minute of the five added one, but it was too little, too late.